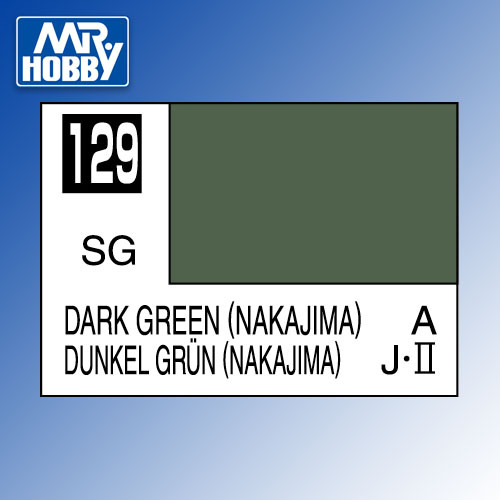 C-129 Dark Green (Nakajima) - commonly used on upper surfaces of Imperial Japanese Army aircraft manufactured by Nakajima during WWII. 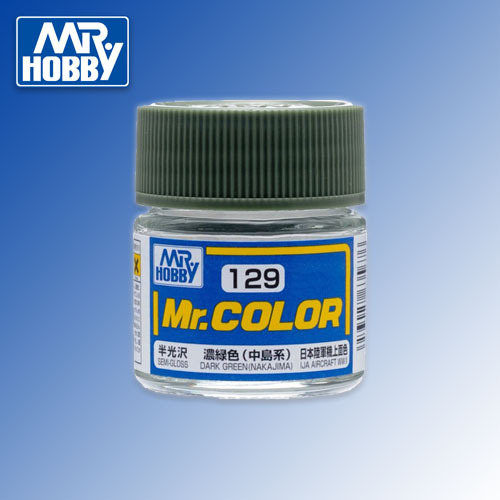 Mr. Color paints are high quality Japanese acrylic lacquers designed for use primarily in an airbrush (can be brushed on as well). For airbrush use thinning is necessary in at least 1:1 but more commonly 2:1 or higher thinner to paint ratio. Colours have been carefully researched and are in many modellers opinion one of the most accurate matches. For best results we recommend applying multiple thin layers. Recommended thinners: Gunze (Mr. Hobby) Thinner or Levelling Thinner. For clean up we recommend Gunze (Mr. Hobby) Tool Cleaner.